It is not common for multiple teams from the same school to get close to state titles. Both the girls and boys volleyball teams are going to try to go for state titles again this year. 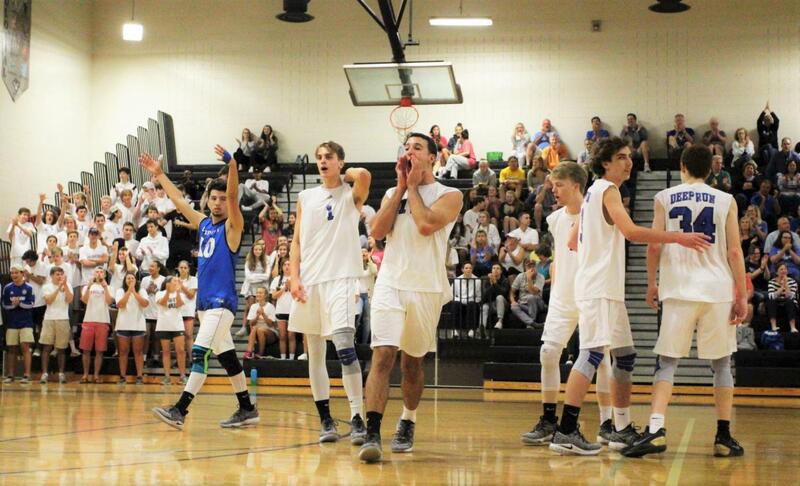 The girl’s varsity volleyball team has one more main goal for the year: to beat Atlee. “We make sure that we are always having a pre-game team dinner; this allows an environment to promote success for the team,” senior Gabby Brophy said. The boy’s team has their own pre-game rituals to become one player on the court. “We wear one black sock on our right foot and a white sock on the left,” senior Matt Hodges said. The success of the volleyball teams would mean the world to them. “Winning would be advancing ourselves and allowing the volleyball program to do bigger and better things,” Brophy said. The varsity teams are also very supportive of the JV teams, For example, when the JV teams are playing, the varsity teams are cheering them on. This year has been successful for both of the teams. The teams have great chemistry and are always trying to improve by working double time to make sure that they are the best they can possibly be. “The most important aspects to the game are that they stay calm after each point, but more importantly have fun,” Hodges said. “The most important item for our team is trust,” she said. Both teams find it really important to trust each other, to do their jobs on and off the court, and to build a good chemistry between the players.